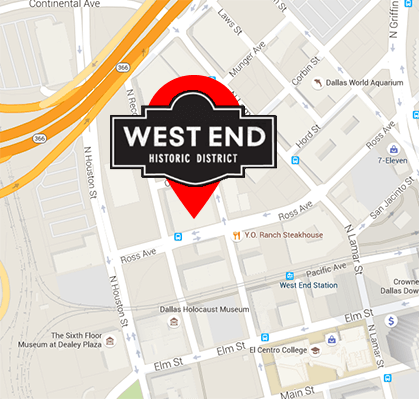 Whether you’re interested in joining the West End Association, curious about West End Dallas restaurants or real estate, planning a day or a trip to the West End Historic District, or simply trying to find downtown Dallas parking, we are here to help. Contact us today! Visiting and need information about the Dallas West End? Are you a West End business and have questions about the association? Whatever your need is, please contact us here.